Meet Bloomsday Literary Editor Kate Martin Williams! Today’s featured Writefest speaker is Kate Martin Williams, writer, editor and co-owner of Bloomsday Literary. 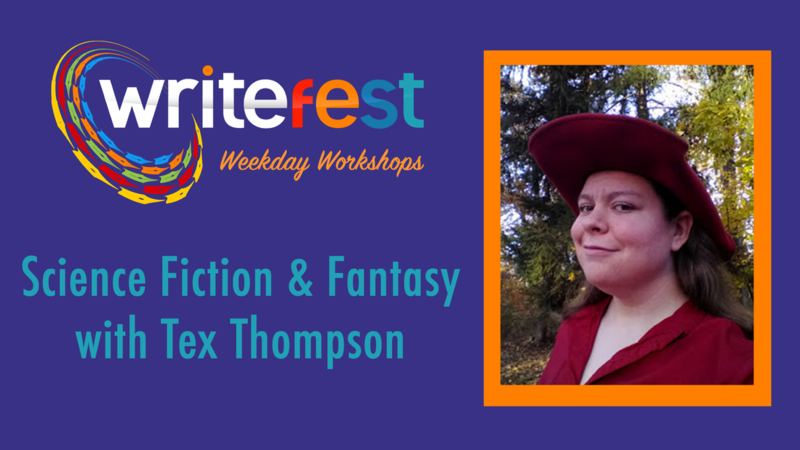 She attended the University of Tennessee and earned a Master of Arts degree in English with a creative writing emphasis from the University of Tennessee. She holds a master’s degree in teaching from Rice University, and in a former life, she chilled her writerly bones on an ice rink as a competitive (but decidedly non-combative) figure skater and coach. Her writing life has led her to bear witness to the stories of activists, survivors, visionaries, and the everyday people who make a difference by living engaged lives. She lives in Houston with three ridiculously lovely children, ridiculously supportive husband, and their dog, Abigail, who’s just plain ridiculous. Williams had a conversation with Writespace about her editorial approach at Bloomsday. What do you look for when choosing works for publication? Bloomsday is seeking to work with writers of diverse ethnic backgrounds, with voices that are distinct, unique, and unafraid. We look especially to publish people of color whose work has not historically been given the same opportunities to rise to the surface in a crowded literary landscape. We are accepting novels, short story collections, creative nonfiction, and poetry. The mission of Bloomsday is two-fold: we strive to publish voices that have and continue to be underrepresented in traditional publishing, and also create community within our city by sharing stories, striving to reach wider audiences. So when we evaluate new work, we’re thinking about how this story-telling will stitch us together, will shed some light on the human experience. In short we are not scared of MORE. More voices, more light, more stories, not LESS. How do you replenish your creative well? I get really encouraged (and this sounds weird) when I hear people in the “old guard" publishing world saying the same old thing about the same writers, pretending they’re doing something different. We have lots of work to do to turn publishing towards new voices, but there’s room for people who have a focused eye to shepherd good work to a hungry audience. The more they drone on about old stuff, the more it pushes us to seek out what’s happening on the razor’s edge, carving out our place. When I get to hang with people who are pursuing new ways to communicate, different modes of expression, pushing art to be more and more human in ways that reach new audiences, I feel like I could do this all day and every day. We are a team of three people. One of our partners, Phuc Luu, calls this work that feeds the soul. We’re too surrounded by really amazing creators to be uninspired. How has your writing experience influenced you as an editor/publisher? Jessica Cole (co-founding editor on the Bloomsday team) and I went to graduate school together, and wrote novels on our laptops back-to-back. We cut our teeth writing together (we even have a novel we’re co-authoring together). We come to the table as writers first, writers who work in collaboration. We treat our authors in the same way we want to be treated by our editors. We build relationships grounded in trust and mutual respect from which the work emerges more strongly honed by the collaboration. If the process isn’t that, then why collaborate with an editor at all? We’ve had the benefit of good editing from good friends who respect the work for what it is trying to be. That’s how we approach our authors’ work. BE SKEPTICAL OF THE SYLLABUS. Read more people of color, more women, more works in translation. Figure out who made the list, figure out who they left out, then go make your own list. I spent too much time reading what people told me to. What’s one thing you want people to remember about Bloomsday? I think there are many, many lovely cities in this country. Cities I love. But what Houston has that no other city has is a wellspring of culture that makes us a place brimming with Voice. We know that we’re the most diverse of the large cities in the US, but not a lot of other folks do. (Can I tell you how many times Angelenos/as try to tell me they are the most diverse?) Bloomsday wants to be a part of letting the rest of the world in on this little secret. By publishing great voices, from this town, but also from abroad, we are saying that listening (and caring about) these disparate voices is to our benefit as a people—as humans—who have to figure out how to love together. 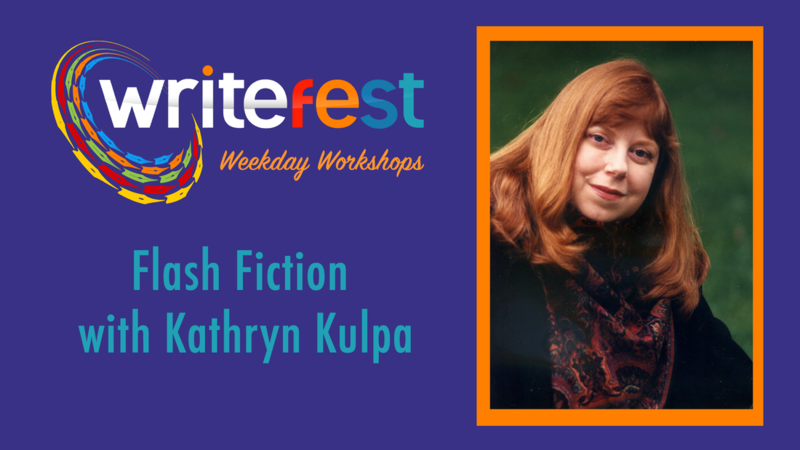 Want to hear more from Kate Martin Williams at Writefest? Her schedule will be posted on our website soon. She will also be taking pitches during our pitch sessions! 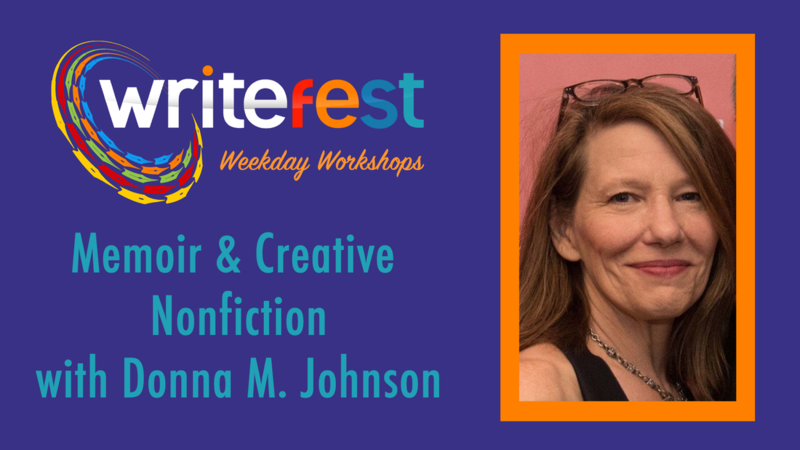 Be sure to secure your tickets to Writefest if you haven't already! Meet Texas Review Press Editor J. Bruce Fuller! Today’s featured Writefest speaker is J. Bruce Fuller, a poet and acquisitions editor at Texas Review Press. He is a Louisiana native. 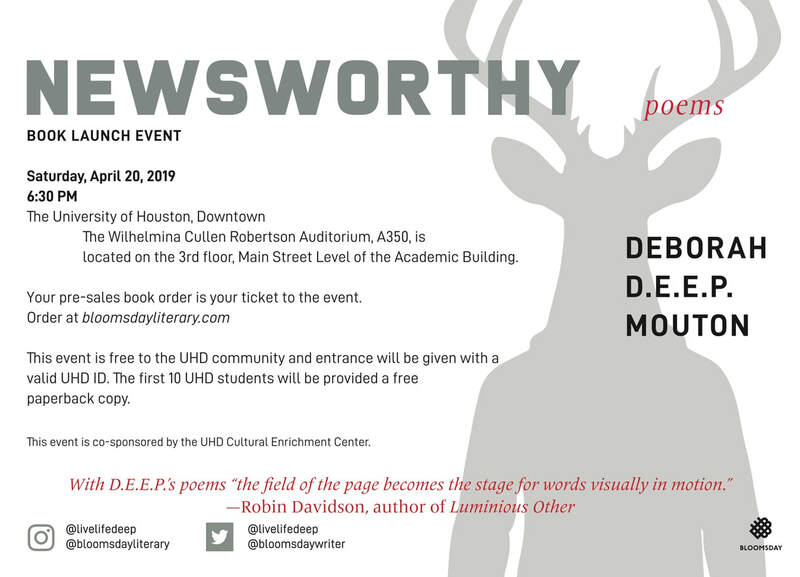 His chapbooks include The Dissenter's Ground, Lancelot, and Flood, and his poems have appeared at The Southern Review, Crab Orchard Review, McNeese Review, Birmingham Poetry Review, and Louisiana Literature, among others. Fuller has received scholarships from Bread Loaf, the Sewanee Writers’ Conference and Stanford University, where he was a 2016-2018 Wallace Stegner Fellow in Poetry. 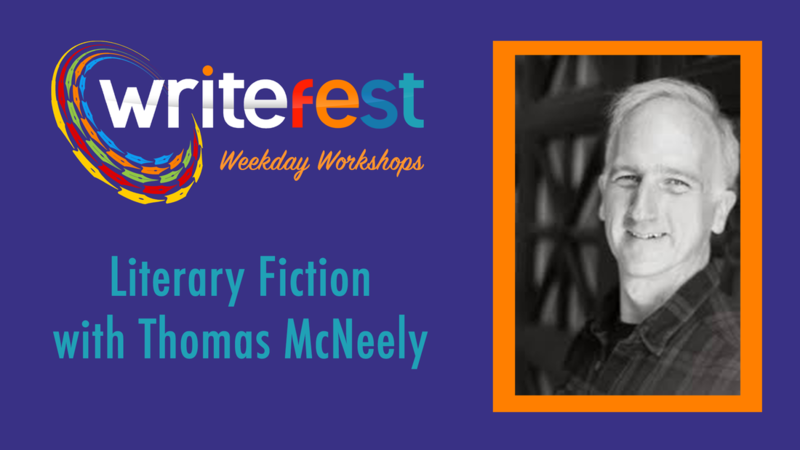 He received his MFA from McNeese and his Ph.D. from the University of Louisiana at Lafayette. He currently teaches at Sam Houston State University where he is Acquisitions Editor at Texas Review Press. How has being a poet influenced you as an editor? It helps me to remember that there is an artist, a real person, and their work, at stake. Publishing can be a very business-oriented atmosphere, and when I am working on a project it helps that I know what it feels like to be on both sides of the table. I consider myself to be a writer-friendly editor, because I am a writer too, and that is how I want to be treated. Poetry too, prepares us to engage with heightened language and metaphorical language, so even when evaluating fiction, nonfiction, or scholarly prose, I am always looking for the work that is operating in the realm of heightened language. Looking back, I laugh because it was so ridiculous in a way. I thought I was ready to have a book out, and that I was ready for all that comes along with that. I was a kid, sure, but what I didn’t realize was that it would take another 20 years of working, studying, and disappointment to achieve just a fraction of what I used to daydream about as a teenager. I’m afraid if I told my younger self these things I would have been too discouraged to continue. So I probably wouldn’t tell him anything. What keeps you inspired to write day after day? A professor once told me that it is easy to be a poet before you’re 30. I was 31 at the time. This idea struck me because I had read many of the statistics of how many people quit writing post-MFA and at the time I had just finished my MFA, so I was concerned that I would fall into the same problem. It is understandable why this happens, and there are many factors, but often it boils down to life getting in the way. Because I had been warned of this I have tried to remain vigilant about my writing time. Between work and kids and daily life I often have to force myself to take the time to just sit and work on my writing. There’s no magic pill you can take; you just have to make writing a priority, however that works for you. I was lucky to have many good role models. Setting aside the time to write is not always enough, and when poems are not coming easily I often read. Reading always works for me because it is so inspiring to read great work and it makes me want to join that conversation and make my poems just as good. I love seeing what my colleagues are doing, and even if no poems come to me, and hour or two reading great poems is time well spent. 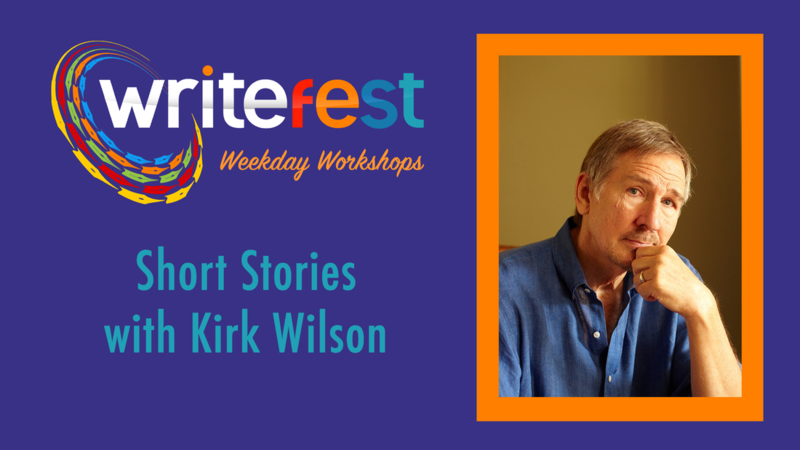 Want to hear more from J. Bruce Fuller at Writefest? His schedule will be posted on our website soon. He will also be taking pitches during our pitch sessions! Elizabeth was just as smitten with Writespace in 2016 as she is today. Beginning March 16th, I will no longer work for Writespace. This is a hard sentence for me to write, because I love Writespace with my whole heart. Why, then, am I leaving Writespace staff to do something else? Writespace has outgrown its founder, and this is great news. My special passion is launching new ideas that make a difference. The past five years, I have fulfilled this passion with Writespace. Our staff, board, instructors, and volunteers have done an amazing job of meeting writers’ needs, and Writespace literary arts center has grown quickly. As Writespace’s founder, my job has been to create an organization so viable that it can stand on its own. Happily, we have reached this point. Writespace is in excellent hands with the Writespace board, with Cassandra Clarke, Director of Operations and Acting Executive Director, and with the robust band of dedicated volunteers who love and support our organization. I greatly look forward to continuing to be excited by Writespace’s wonderful progress. I am being called to launch other new endeavors. Founding Writespace has taught me that helping launch new nonprofit endeavors may be what I want to do with my life. Even though founding Writespace was never easy, I loved the wild, open energy that zinged through my every thought, every word, and every action during the early days of Writespace in 2014. I miss the extreme-sport adrenaline rush of those days when I didn’t know where our next check would come from to cover the rent, but believing with my whole heart that God would send it our way. I miss watching what I had dreamed come true right before my very eyes. I believe my love for that crazy, exciting time is what has led me to my next step, Bayou City Initiative. Houston needs me—and each one of us—to work to help reduce its flooding problem. Many of you know I was deeply traumatized by our evacuation and displacement during Harvey. As I watched neighbors wade through contaminated floodwaters with their only remaining possessions, I was torn by the question, “What can I do?” I didn’t know this would be a question I wouldn’t be able to shake off after the storm, one that would determine the course of my life after the storm, but Harvey changed me. This past fall I learned of a nonprofit named Bayou City Initiative and began volunteering with them. Founded shortly after Harvey by environmental lawyer Jim Blackburn, co-founder of the Rice University SSPEED Center (Severe Storm Prediction, Education, and Evacuation from Disaster Center), Bayou City Initiative is dedicated to building a flood-resilient Houston. Volunteering—and now working part-time for BCI—presented a healthy answer to the question “What can I do?” and helped assuage the feeling of utter helplessness that has assaulted me since Harvey. 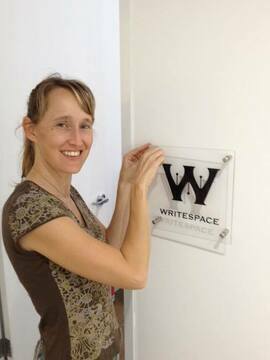 Writespace's mama puts up the new sign in 2014. My departure is extremely amicable, but not easy. Those of us who work hard behind the scenes work closely together, and we have come to love and trust one another. We will miss working together. Our board, staff, and volunteers have been extremely understanding of this profound turn in my life, and I appreciate their support. Writespace has been my first true work home, the place where my heart and soul have belonged. I will miss the sense of community most of all, the sense of shared purpose in supporting writers and their work. But I know this step is the right one both for me and for Writespace. Definitely not the easy step, but the right one. Birthing Writespace has by far comprised the greatest work of my life. Amongst the many gifts Writespace has brought me—the amazing friendships, the lessons in leadership, the realization of what a difference a tiny band of committed individuals can make—the knowledge that I could die now and feel like I’ve done something awesome with my life has been Writespace’s greatest gift. The founder of Writespace in May 2014, before Writespace had tables. Thanks for filling these writing chairs the past five years. Writespace's board, staff, and volunteers have been discussing this transition since mid-January and working hard to develop a plan to keep things running smoothly. My last day at Writespace will be March 15th, and Cassandra Clarke will become Writespace’s Director of Operations and acting Executive Director. At some point—say, one or two years from now, I may return to serve as a Writespace instructor, editor, or volunteer, but over this next year, I will be focusing on pursuing my passion for keeping as many future Houstonians as possible safe from floods. I’m signing off. Thank you for the crazy honor of serving you, Dear Writer. Thank you for the privilege of playing a part in creating a writing home for you, a place where you and your stories can grow. I look forward to continuing to watch your writing career and our writing home, Writespace, flourish.